Choose from all these different FREE templates to download. Each is designed to make meal planning and grocery shopping easier! Most of these templates have an “auto-fill” functionality. That means you can type your information into the fields and print. You can also print and just write them in, but I really like the neatness of the printed templates! *FREE* Provisions iPhone App – New from Faithful Provisions, the Provisions App tells you the best price on your everyday grocery purchases. By providing you with the best possible buying prices on your grocery purchases, you will save more money than ever before! And the best part is — it’s FREE! Provisions Price List – You asked for it, and here it is!! The Provisions Price List is a printable version of our Provisions iPhone App. It gives you the best price on your everyday grocery purchases. How to Budget Template – Create your own budget with this user-friendly template that comes with step-by-step instructions, like your own financial planner is sitting by your side! 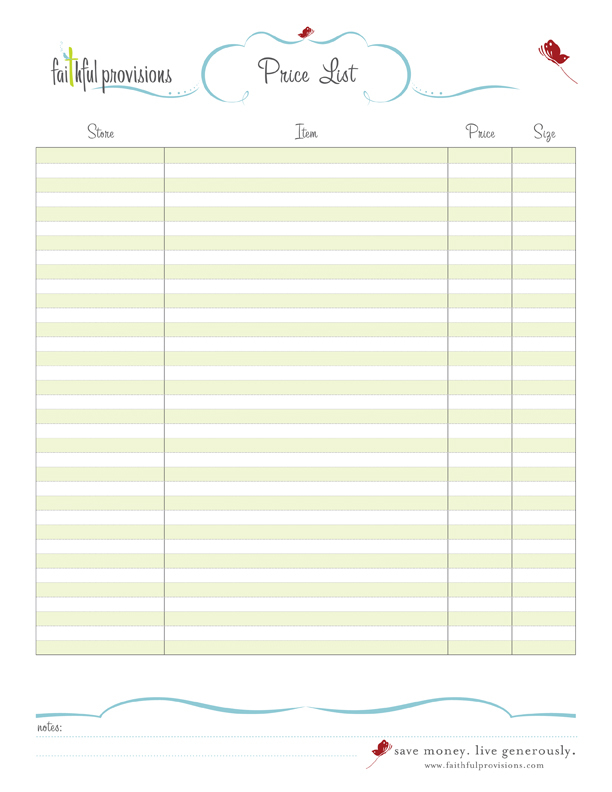 Meal Planning Template – This new auto-fill template allows you to type in your meals and then print it out! 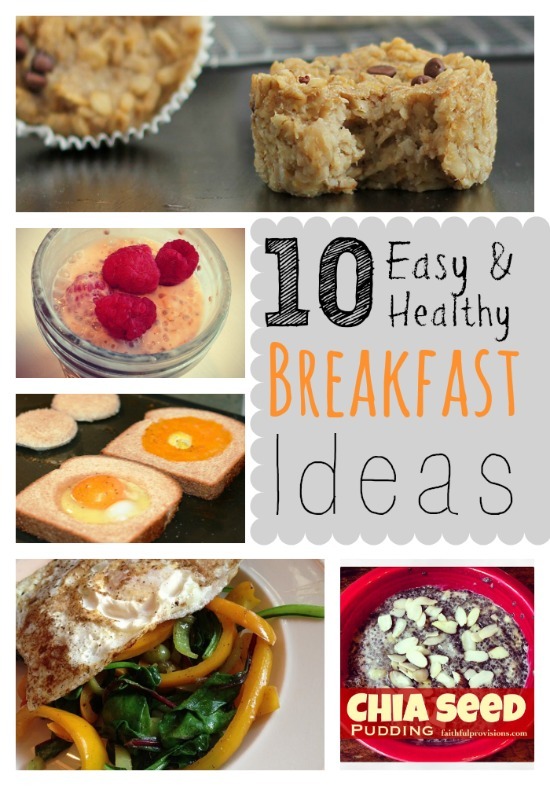 It includes breakfast, lunch, snacks and dinner. Choose from dine in, dine out or carry out options. Prep Day Planner – Use this planner to plan anything from a Freezer Cooking Day, a family get together or your next holiday meal. Columns make space for your Recipe Ideas, Prep List, and even your Shopping List. Weekly Grocery Budget List – Detail your grocery trip using this new auto-fill template, by typing your quantity, coupons, and even your total spend so you can stay on budget! This template allows you to type in your grocery list and print it off, or print and hand write your list. It’s up to you. Freezer Inventory List – Using this new auto-fill template, you can type in the contents of your freezer, by adding the quantity, item name and even the location. Once you finish your list, you never have to wonder what is in your freezer again! Pantry Inventory List – A printable template to help you organize and itemize all pantry items. Use the first in — first out method to keep pantry items at their freshest. Grocery Shopping List – Use this pre-populated list of grocery items to easily plan your grocery trips. No thinking needed, all your staples are listed here, with spaces to add those specialty items. Food Substitution List – Have you ever been in the middle of a meal and found you are out of something? Well, this list is designed to help you substitute common kitchen staples when you are in a pinch. Seasonal Fruits and Vegetables List – When are strawberries in season? 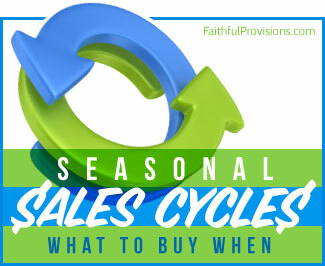 Use this list to help you determine sales cycles for your favorite produce. Shopping List – Fill in the store name, then you have blanks for item name, price, and if you have a coupon available. Plus, there’s extra room for notes and jotting things down. Multiple Store Shopping List – Two stores? One list! Divided so that you can stay organized and keep track of what’s on sale where. Customizable Price List – Custom-make your own list for getting the lowest prices available according to the foods and name brands your family buys most often.